"A unique series of small batch beers by the Curious Brewery, each produced with a winemaker’s twist." Chapter 1 is a wild fermented and curiously blended sour ale, barrel aged with Chardonnay and Bacchus wine yeast to create a complex beer that will confound expectations. A delivery charge of £10.00 will be added to each order of up to the value of £149.99. Free delivery is available for orders over £150.00. Products within 'Gifts and Accessories' are sold inclusive of delivery unless otherwise stated. Wild sour ale’s fresh acidity is balanced by the smooth and textural flavours characteristic of English wine to give intense aromas of citrus and toasted nuts with a hint of vanilla. 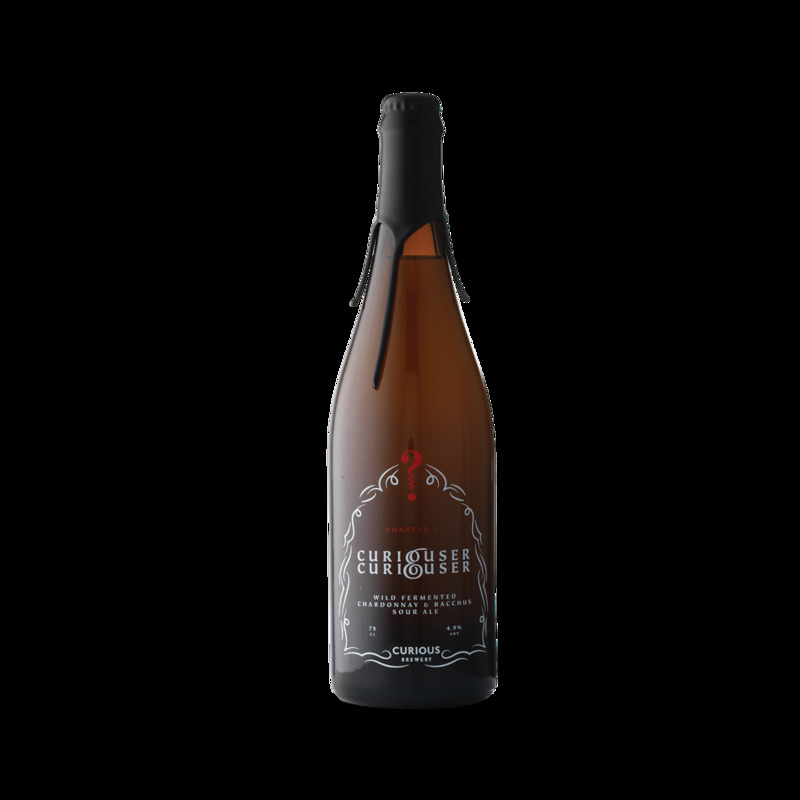 The beer is packaged in a 75cl wine bottle, a nod to its winemaking influence, and is sealed with a crown cork and Wild Beer Company’s signature wax seal. 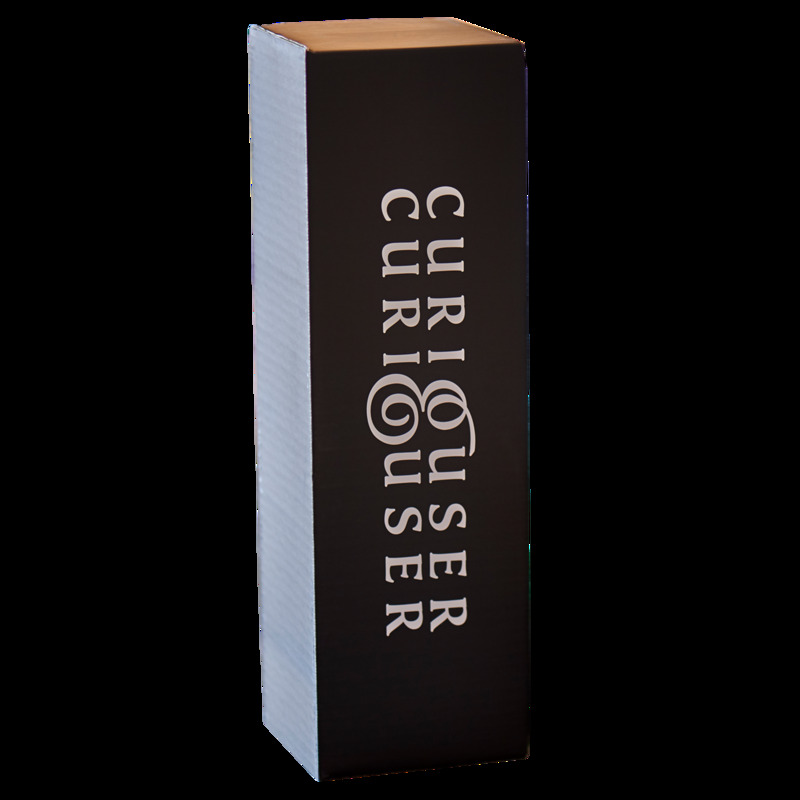 Just 1500 bottles of 'Curiouser & Curiouser Chapter 1' have been released, with the majority being reserved for our Curious shareholders and the remainder available online for a limited period only.